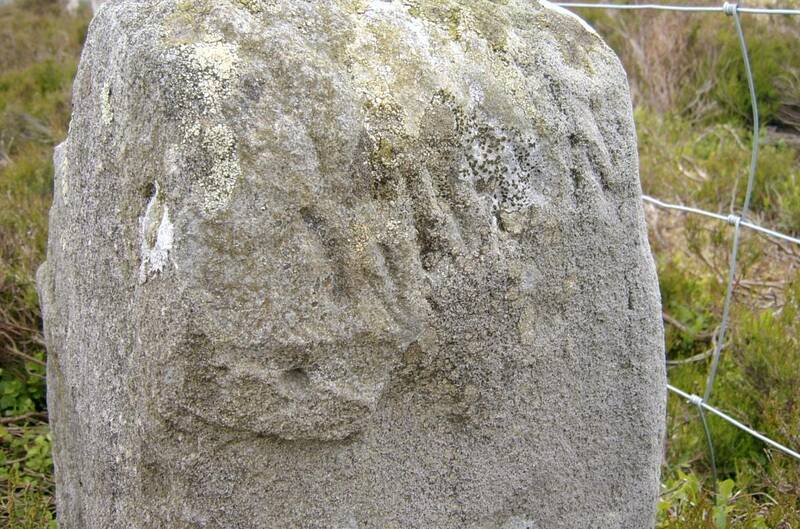 Record Description GRI-18 is marked on the OS map as Grinton Cross. 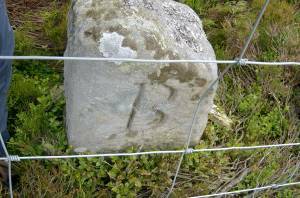 It is boundary stone number 18 of the first 21 around Grinton Parish starting from Stolerston Stile and reaching as far as Gibbon Hill. It stands on the Grinton-Bolton watershed about 400m west of the Grinton-Redmire road, on the Grinton side of a boundary fence. 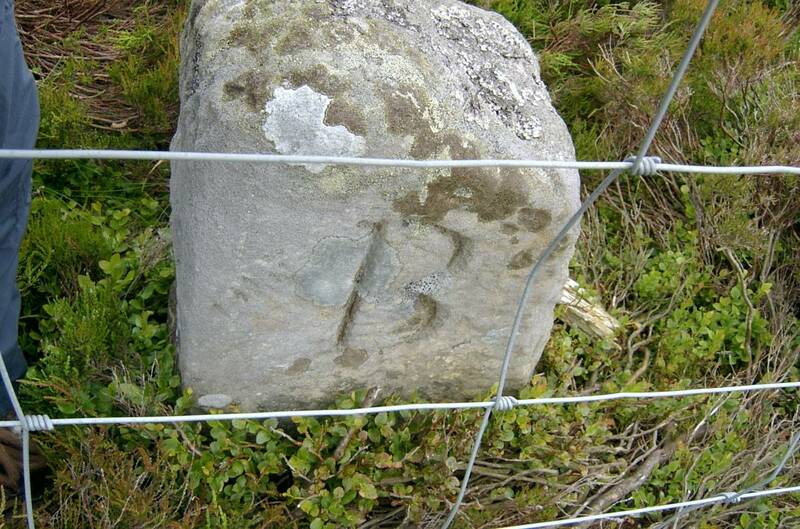 The only clear inscription is the letter B facing south. 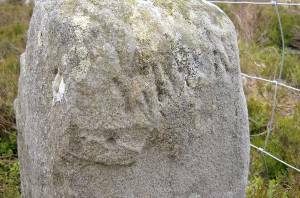 On the west face there is some indistinct marking that looks like a series of letters all comprising straight lines, but may not even be a deliberate inscription. Suggestions for the meaning of either marking are invited.